MainAll NewsUS & CanadaClinton dynasty to continue despite defeat? Clinton dynasty to continue despite defeat? Former Secretary of State Hillary Clinton’s surprise election defeat on Tuesday likely spells the end of her political career – but it does not necessarily signal the end of the Clinton dynasty. 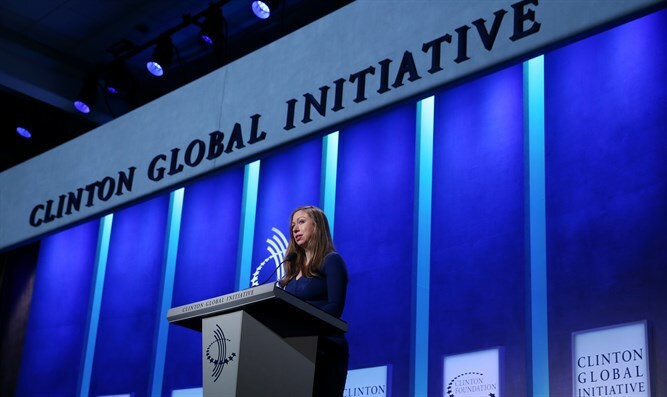 The Clintons are, according to sources close to the family, preparing their only child, Chelsea, for a political career of her own, laying the groundwork for a congressional campaign. Chelsea, 36, was involved in both of her mother’s presidential bids, campaigning on her behalf in 2008 and 2016. A board member for a number of organizations including the Clinton Foundation, Chelsea previously worked as a journalist for NBC News, and as an associate for a Wall Street securities firm. Her parents are reportedly eyeing New York’s 17th Congressional District for their daughter’s first run, a district that includes Chappaqua, where the Clintons have maintained their private resident for nearly two decades. Hillary and Bill Clinton in August bought an additional home in Chappaqua, which according to the New York Post is meant for Chelsea and her family. The incumbent Democrat congresswoman, Nita Lowey, is 79-years old and has served in congress since the 1980s. A strong supporter of Mrs. Clinton, sources close to the Clintons say they are preparing their daughter for the Democratic primary in the district as soon as Lowey retires.